This the latest hand fabricated piece we have done. 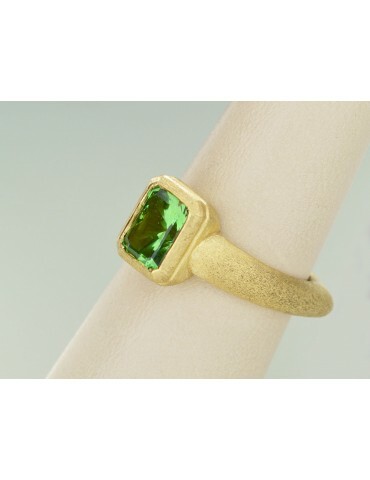 This one utilizes a beautiful emerald barion cut Tsavorite garnet weighing 2.65 carats and clarity of the stone is VVS. The stone was hand cut by John B. 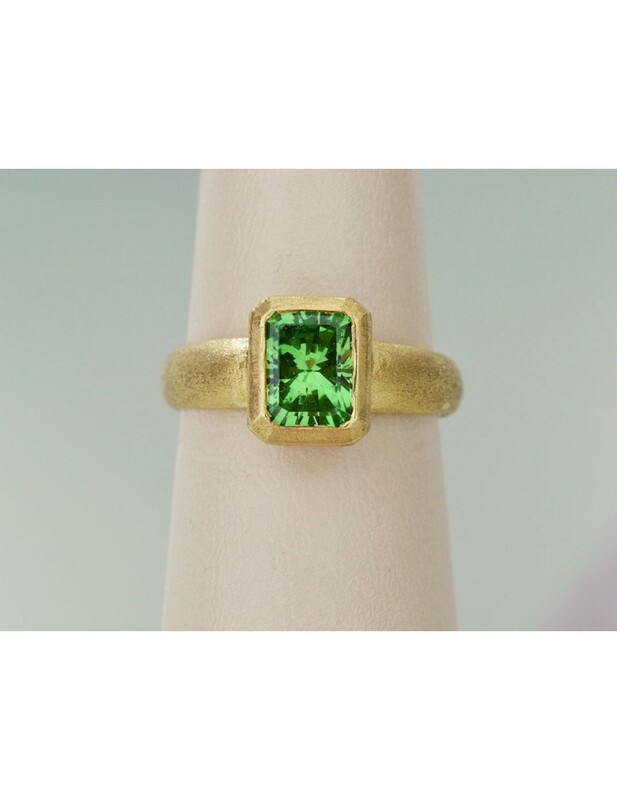 The setting was handmade using 18k royal yellow gold with a total weight of gold is 10.1 grams. The piece is finished off with a lovely rough satin finish.